Zlatan Ibrahimovic has reveals Barcelona had agreed on a deal to sell him to Manchester City, but the Swede refused to join City because of doubts he would be happy there. The striker joined AC Milan instead and moved to Manchester later on in his career to sign for Manchester United, where he scored 29 goals in 53 matches. His relationship with Pep Guardiola at Barcelona was a bad one (read his autobiography for more on that), but the pair had a heated exchange following their Champions League defeat to Inter Milan in the semi-final which lead Ibrahimovic eventually being sold after a loan spell at AC Milan. But he came close to joining City at that stage. 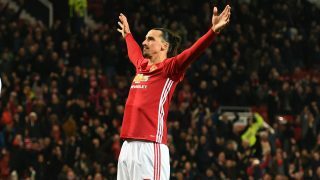 Barcelona had found an aggrement with the Premier League club until Ibrahimovic cancelled it because he felt he wouldn’t be happy under Roberto Mancini. Currently playing for LA Galaxy in the MLS, Zlatan has given the Mirror an exclusive interview. “I had the chance to go to Manchester City when I was at Barcelona but after that moment in Barcelona, I needed to find happiness,” Zlatan said. “And I didn’t know if I would be happy if I go to City because it’s a different challenge. It would have been a new club, which Milan also was. Ibrahimovic made the right decision and we’re sure his only regret is not joining United earlier in his career. An incredible character, you can just imagine how much he lifted the dressing room at United. It appeared as though players only really started to turn on former manager José Mourinho once his talisman left the club, so his influence was clearly felt.